The machine is multifunctional for roller bending, flange forming, elbow making,seam lock forming, swaging and crimping. Besides, the machine is small, light and good appearance with sidle construction. What's more, it's easy to operate and adjust with new innovations of air pressure driven. 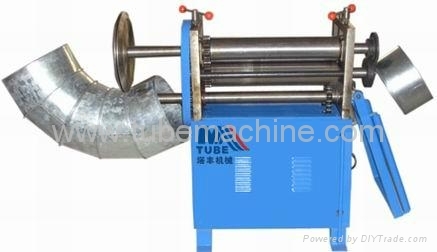 So it is kind of flexible duct making line machine series.